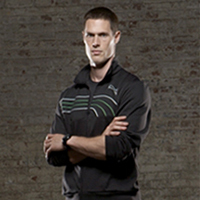 While in New York City, Ian ran personal training departments for high level fitness clubs, where he coached, led and supervised over 70 trainers. Ian also served as a PR representative and spokesperson for Crunch NYC, was a monthly blogger for the company’s website, and a lead educator and CPR instructor for Crunch. He was featured in both the Men’s Health magazine as an “Expert Veteran Trainer”, and the Men’s Health website dedicated to specific workouts and tips for success. Ian is a graduate of Officer Candidate School for the United States Marine Corps with a certificate of superior physical performance. Prior to that, he played National AAU basketball for the Connecticut Starters. Ian is continually progressing his education. His next pursuit is a Master’s degree in Sport Science. Bojan received his master’s from the Faculty of Sports and Physical Education at the University of Belgrade, obtaining the status of Sports Professor with a focus on soccer (football). Bojan graduated with marks in excellence and was awarded the best student in his class. 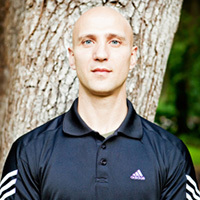 He has worked as a strength and conditioning, technique, tactic and strategy coach for high level professional soccer clubs and has been training for over 11 years, five of which have been with professional athletes. Additionally, he played professional soccer for 7 years. Bojan was one of the top trainers at a top commercial gym in New York City before moving to Beaufort. He has experience coaching children in athletics, and is currently pursuing his certification as a Strength and Conditioning Specialist. Originally from Leicester, England, Maxine received a Bachelor of Science in Physical Education from the College of Charleston. This former NCAA collegiate tennis player and team captain is certified through the American College of Sports Medicine as a Health Fitness Specialist. After playing the number one position for the College of Charleston tennis team, Maxine used her summers to coach and train tennis to players of all ages and abilities. 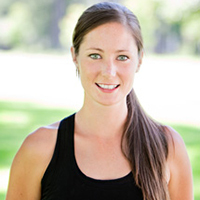 She is also experienced as a Children’s Fitness Program Director and Fitness Instructor. Before moving to Beaufort, Maxine was a highly sought after Personal Trainer in a large fitness facility in Charleston, training individuals and small groups. Jeff received a Bachelor of Science in Physical Education, Majoring in Strength and Conditioning from Limestone College. Jeff spent his pre-adolescent and teenage years playing lacrosse, hockey and football in Sun Valley, Idaho. During his senior year in H.S. was named captain of all 3 teams and “Most Inspirational” for football. After high school Jeff pursued lacrosse, first in upstate New York then, at the Nationally ranked Limestone College where he then matriculated and completed his college career. In both years that Jeff played lacrosse at Limestone College, he helped his team reach the NCAA DII Final Four. Originally from the twin island of Trinidad & Tobago, Khadine obtained a Bachelors degree from Howard University in Washington, DC. While in Trinidad, Khadine spent her early and high school years participating in many track & field events, but excelled in mid-distance running, receiving several accolades. During her advanced level years in H.S., Khadine was named captain of 200+ students, in charge of keeping them active and encouraging them to participate in various sports and activities. After high school, Khadine focused on academia, pursuing the field of Finance and garnering full scholarships and top honors. While working on Wall Street, Khadine rekindled her passion for fitness while training at NYC’s top personal training gym, seeking the best personal trainers NYC had to offer. 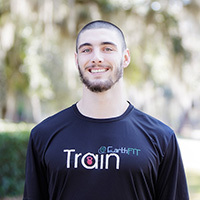 That passion for fitness redirected her career to the field of personal training and fitness, and she moved to Beaufort, South Carolina to help build EarthFIT. One of the original staff members, Khadine has been under the wing of the EarthFITs highly knowledgeable and experienced trainers. 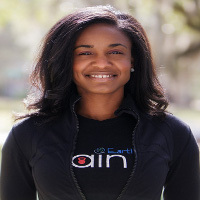 Khadine works concurrently in her role as Operations Manager and Personal Trainer here at EarthFIT.